In this short post we will see what are te things you should make sure you have completed . We will actually see the points you should keep in mind through the older posts only . Take it as a guide for what you have to do in coming year if you have not done . Make sure you have adequate life cover , Calculate how you can calculate your Insurance cover and then take a good Term Plan to cover your self . It is extremely important . Open your PPF account if you have not done it yet , I know its tough to take action , but there is no alternative 🙂 . Make sure you understand the concepts and importance of Debt and Equity , understand the importance of Asset Allocation . Understand that Equity is extremely risky in Short term and Debt is extremely risky in long term. Make sure you don’t buy products which you do not understand. This is important , Don’t get into wrong products . doing nothing is a better thing then doing wrong things . Learn from this blog and other blogs , read before you do . don’t do before you read . This is the common mistake . Read some Tips in Personal Finance . Share, We cant grow unless you share things. 5 ready to learn, less knowledgeable people are better than 1 Albert Einstein. When you share links, tell your friends about this blog, Give your comments in articles, There is conversation happening and that leads to more ideas, disagreements , which are the essential things in life to grow . Do more of it . If you are silent reader , I can understand that you don’t like to talk much , but occasionally come in and say how you feel about the idea , put 2 lines , that’s enough . All the right decisions we can make in life are “simple” and “extremely tough” to take. We get confused because of lots of choices and the simplicity of products. It does not fit with our complicated environment these days. All the wrong decisions we take in life are easy to take , looks good to us at first moment and hence give an impression that they are great and worth taking. Same thing happens in our financial lives . Simple products like Term Plans , SIP in Mutual funds look too easy and simple and hence make us feel that there is some thing wrong with them , We think that how can they be so simple and so powerful, and when we see them in comparison with complicated products like ULIP’s and money back plans, they make us feel like we are doing some thing wrong by buying something which not much people buy. More than 80% Insurance p9licies sold in India are ULIP’s, Just because 80% people do it , It does not mean they are right product for you . Think and judge your self . Just like the top of the ladder is never crowded in any profession , the same way the best products is not the one which is most sought after . Don’t let 2010 be a year when you make the same mistakes which you have done earlier in life . Making mistakes is one of the greatest gift , Repeating them is the biggest curse . So make a mistake, don’t repeat it 🙂 . I am not a religious person and I am yet to discover if I am a spiritual one either , but there is some thing inside me which asks me to wish for each and ever reader of this blog that he/she should be more educated , more empowered with the psychology of how to succeed in Financial Planning . I feel like this blog is a platform where any new person can come , learn , discuss the ideas and one day he/she can become his/her own financial planner , who is capable of taking all the right decisions one should be making , you don’t need to depend on anyone , neither this blog nor me , you can be your own master and together we can and we will do it . It might take some time , but its going to happen . I know . I thank you all for the great support and motivation you have provided to make this blog one of the best financial planning blog in the country today. Happy And Prosperous New year to you and your Family . Comments , Give me suggestions on how I should take this blog in 2010 and what are the different things we can do on this blog . You are a part of this Family and your views matters . Hi MANISH, I am Amit kumar of 26 yrs from rajasthan.I am a govt.employee with a monthly income of 25,000.I am having two LIC ENDOWMENT plans of which one is of sum assured 6 Lk and a annual premium of 28000 and other with a sum asssured of 1 Lk and a annual premium of 6000.I am also having 2 ULIP plans of which one is LIC MARKET PLUS (optioned GROWTH) with annual premium 10000 and other is ING VAISYA (optioned GROWTH) with a annual premium of 4000.There is also a deduction of 10% from my monthly salary under contributory pension scheme(C.P.F.). I have rarely seen people doing such an unconditional service for the common misguided people like us. You truly write out of your passion and one day achieving that goal of smart investment for everybody. Mark my words, you are definitely creating a world of difference through your superb blogs, and that your D-day is not far off if this is the way your blogs keep on recieving the responses. Like many, visiting your blog site have become a routine thing for me as well. As already promised by you, I am eagerly awaiting for your upcoming review blog on health insurance / mediclaim policies, critical illness coverage etc. Stumbled upon this blog couple of days. Very exhaustive and informative. Made it a point to visit it daily. Will come up with queries too. Keep doing the good work bro! As we know term plan cover is mostly up to age of 65.In that case ulip gives 60 times (AP)coverage for 80 years.I also know we need insurance up to the age of retirement that is 60-65. I want to give security to my wife up to 80 As i have only daughter. But the problem is again charges.We cannot get much return compare to MF. I am in cofusion about the plan of tata aig-flexi plus.Can u guide me? We can not get anything up to 10year(assuming 6-10%)After 20 year we can get not more than intrest of FD. My second need to know about the I-TERM which i m going to take next mont(20 lacs). Do u have any claim settlement ratio knowledge about that company?Should i go for it? Many Many Thanks for all u are doing for all of us.What can i say for so called invest adviser in to days market.We all have sour expierence with ins.agent(dalal! )who dont have any moral.how can they wish good for us,ultimatly they all want “BAKRA”.There can be few good people also, sorry to them.But i m talking about most of “executives”. Anyhow,some hope of rays came from blogs like u. Again thank u very much.Keep it up. What is your return expectation from these funds ? What is your time frame ? Are you risk taker ? For your valuable information in this site, I got really helpful after reading your site. What are the top things you are going to do in this year . Are you done with your insurance and investment planning ? Dont forget to open PPF for for Child also incase you are married . What are the funds you have choosen for SIP . Would like to hear the names . Are they tax funds ? One out of topic question. How increase in CRR will help in controlling inflation.?? I know by this liquity(money) in market will become less but how it can control inflation. Note : you can search for topics first or look at archives section . U mean to say there will be no tax deduction on income which is driven from equity funds. How abt the fund which are debt+equity based ?? Yes . Equity funds dont have dont term captial gains as of now . But later tax laws can change 🙂 . Equity funds are any funds which have 65% of more share in Equity . Q1.Which one is better TIPP or PPF ?? In terms of final return percentage.?? I know in TIPP final amt is taxable n not in PPF. Q2.Suppose we invest in any fund and receive xyz final amount after some years.and the final amount is taxbale ?How we we can calculate what will be amount after tax deduction before investing?Is there any formaula for this ? ?or any rough calculation ?? Q3.Suppose there are three investment in one amount is compounded quaterly ,in second amount is compounded halfyearly and in thrid one amount is compounded yearly ? ?Which one is best ? I think first one in which interest is compounded quaterly,right ?? 2. Tax rules can change over time , so there is no best way to arrive at final figure . currently you can only do rough calculation based on todays rules. Like for Equity there is no tax after 1 yr .
3. Compounding quarterly would be best , less is better . I totally agree with what Vivek has mentioned in his post. Your articles have been very informative and i have learnt a lot from it. So I must thank you for this knowledge sharing. I am waiting for a new post/article.What is it going to be? .-= Mukul´s last blog ..Decade recap =-. I am glad you are learning a lot . What was your favorite article till date ? How much is the return from TIPP ? ?Is the percentage of return fixed or its equity base and it varies ?? For now .. its long term return has been around 14% . Obviosuly its return will vary . But the variation would be small as the debt component is high . Have a happy new year to you and fellow readers. Thanks for enlighten of financial products in a simple way.Would you please include some NRI investment section. Happy New Year to you and all readers of Jago Investor. 1.detailed explanation of technical analysis charts and sample analysis of some charts with different moving averages.You can also conduct a quiz kind of thing for readers showing some charts and asking them to analyze. 2.detailed explanation of options trading strategies and hedging with options.You can conduct an exercise for this also. Plan exercises involving readers so that people can understand better and will also create intrest in them. A Very Happy New Year for you , your readers and to your blog and to your family members and friends. I wish you all the best !. Keep going to reach your goal of “Financial Planning and education to be reached to all the Indians for living “Financial Freedom Life”. .-= Vikram´s last blog ..The Top 100 Web Sites of 2009 =-. Wishing you, your family and all readers a very happy new year. I wish to thank you for enriching all with excellent knowledge sharing blog. Your articles are not only mind blowing but heart touching too. I have told many of my friends about the blog. Thanks again. Wishing you all the very best. I am planning to take a Term Plan. And I plan to split it (yeah yeah, derived from your article..). 1. ICICI Prudential’s pure protect 2. Aegon Religare’s iTerm. I was thinking of splitting it 50:50. Just want to know what is your opinion on these shortlists for a plan of (30 years). Hi , I still have not understood why to split the term plans into 2 . anyways we will have to pay both the premiums (say 7k / 8k) . can it be put in a single plan like 14 k /15k. I guess there is no money back system in term plan. Why there shdn’t be any worry in case of long term investment? market is not able to cross current level then i think even u invest for long term can’t help. Plz give ur views.If possible by example considering case where market remain same/decrease. When we invest for long term , there are different cycles of market and we end up investing in different phases of market which evens out the risk overalll .. Even in that scenario we get returns of say 12-15% . If you look at the study https://www.jagoinvestor.com/2009/10/4-charts-which-will-change-your.html you can see that . However if we are concerned about short term movement and are able to take right decisions of selling and buying at right moment ,then we can maximize our returns for sure . It all depends on what is your return expectations and your level of involvement . are not enough reasons.we r in recovering face and no immediate thing can come n fall the market. I think all people will try to prevent as all efforts still are on to make economic stable. there is enough money in market. As all doesn’t know.In current blog only came to know abt TIPP. It would be helpful for all. All investment options for Tax saving or general investment ? What should be the end limit for that list . I mean to ask that what do we call that list ? .-= Harsh Agrawal´s last blog ..Hostgator Discount Code for January 2010 =-. India is going to do well in next some decades . If you are going to invest for long term like 10+ yrs .. then you dont have to think too much . But if its a short term investment like 5-6 months then I am not sure about the economy , and better we dont try to guess also . Don’t get confused with the statements daily available in websites by people who call themself experts.Indian economy is going to do well in coming decades. you don’t have to worry if you are a long term investor. Yah. I never listen to the analysts on media like TV etc. As for your long term theory, i agree to some extent. The problem is the that, you will probably end up with very less returns. Imagine people investing when the sensex was at 21k. Its been 2 years since the crash. We are nowhere near 21k. 1. Investing without understanding if they are eligible for direct investing or not . 2. Investing all their money at one time. 3. Not continuing investing for long term and stopping in between . First of all you are doing amazing job and keep doing it. And just note how effective impact it can give by adding pictures/diagrams in ppt presentation. I will surely add more stuff in coming days .. 2010 will be an year of great additions to blog 🙂 . I checked the website you told me and for first 10 min i looked at the bugs slideshow .. i love insect world and I love to take shots of those small creatures 🙂 hehe ..
Are you Jitendra from Sybase pune ? Or some other Jitendra ? I am doctor (Consultant Physician) in Pune ! congratulations on the stupendous success of blog and for the page views also. You are doing a wonderful job of educating people on many issues like Term plans and endowment policies. .-= Mukul´s last blog ..Kurbaan, of a otherwise good story =-. I am glad you are liking Insurance articles . I hope you are also reading investing related articles too .. check out the archives sections to find more of what you want . Thanks for your article which every blogger must give it a seriously thinking and resolve these “Top 5 Things” in 2010. Reciprocating your best wishes, I wish you, your family and loved one as well as all members of this Blog A Very Joyful, Happy, Propserous and Healthier/Wealthier New Year-2010. Wish you a happy new year and keep writing. One of the biggest feature of your blog is, the way you put the objective of your article across is really amazing and it is reaching out even to the people like me who are new to investments. I have lot of plans this year. What is emergency fund ? How this can be achieve ? hey manish happy new year to you and all the readers. yours is one of the excellant blog. must tell u that i got all the knowledge about investing from ur blog only. now i have a PPF a/c, SIP in mutual funds, mediclaim(family floater), and two useless products also like SBI smart ULIP, and LIC endowment policy. but i m studing the working of these ULIPS and i think i would manage this product. for now my plan is to take a term plan probably from Aegon Religare(i m tryng to find more information on this) and to make an emergency fund. well my request to you to please come up with articles on mediclaim and on stocks coz many dont understand the stocks and the terminology used in there like option trading, nifty Bes, future trading, stop loss, put call and many more …..
Thats a compliment for me 🙂 .. Nice to know that you learned so much . Regarding stocks and related thing , i would say dont feel like you are missing a lot . Its a different ocean of things .. and believe me you good without it . If you want to learn out of curosity and because you are inclined towards it . I will see if i can write something in future .. I am glad to have readers like you . Can you post something on Value-averaging Investment Plan (VIP) in MFs ? It seems to be the better option compared to SIP. It is not much prevalent in india though. Only one AMC (Benchmark) is offering that option. I read about it but still skeptical. Also, can you order all the articles by the most recently commented ? Feels, it will be beneficial for quick reading. For your valuable information providing,by this articles there are so many people are realizing their mistakes what done wrong,,and i wish u and all the readers of JagoInvestor blog ,very happy new year. Well, the blog is fine, going in excellent way. In my opinion, alongwith new topics (the one which I would like to suggest is “the ultimate goal of perosnal financial planning”), keep addressing the basics from different angles / perspective as it’ll help in grasping the topic in more effective way. but i like the way u personally answer each query and it is the best thing of ur blog…always be like this !!! Thank you Manish. Wish you and fellow readers a Happy new year. One more difference which came in my mind(while duscussing with my younger brother) between term & Endowment insurance plan. But if u try to do same thing in Endowment paln then u need to loss more money. This can appear funny but its true. yup ..thats what i call as trap factor .. with Term plan you have the flexibility of getting out at any moment . 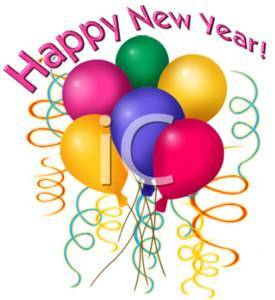 Happy New Year to Manish and all Blog Readers. Hope this Blog will make us more educated and help us to take correct decision in next year. Thanks manish for ur effort in this direction. all newly launched products in market. which can reflects +ve & -ve of that product. help in summarrizing the product. Reg. earlier comment on why to open a PPF acc: I think PPF is the most flexible investment instrument. You could pay Rs. 500 in April forget about it and pay Rs. 65,500 in March next year. Monthly payments are not mandatory. This is a very good option if monthly expenses overshoot., your commitment is not locked in an ECS and you don’t need to use your credit card. Of course one has to be disciplined keep track of amount missed and put it back at a suitable time . Instead one can dip into an emergency fund and leave PPF alone. Anyway the point is its quite flexible. Personally I think most of my financial planning is in place. However I am simply unable to get enough dough to create an emergency fund. This is my new year resolution. Eagerly awaiting the new tax code! 1. More articles on ULIPs like how it works, to whom it is suitable? when to exit? are they really worth for a normal investor? 2. Corporate fixed deposits, Like Mahindra and Mahindra finance issuing fixed price bonds which fetches 9% interest when banks are offering 6%. How safe to go about it. 3. Articles which access India’s growth plan for next 5 years. 4. Analyzing a product per month (it could be any financial product). 5. you will get more ideas from questions posted in forum, try to come up with good articles for those questions. 6. Reading and understanding quarterly results, balance sheets. I have added the list into my to-write list ., let me see when Can i write on that . Thanks a ton . Do you think most of the readers will be interested in Stock market and Economy related articles ? That would be great. Most of the readers may not be interested in stock market and economy related articles as of now but as they start catching up with basics their interest may grow in this area. They may want to try some thing new and prepare better for the tomorrow. Articles on India’s growth plan tax, sectors growth can hint them to invest accordingly and be a part of the india’s growth story. Wish you a very happy and prosperous New year 2010. One of the objective for this year is to get my investment portfolio right. I am ready to enter stock trading also. I have been doing study and research on selecting stocks, reading balance sheet, understanding business and future growth. I need to see how my knowledge turns out in to profit. I have learnt a lot from this blog. Your articles are logical and easy to understand. I have introduced many friends to this website. they thank me every day. Credit should go to you. Are you are technical trader OR fundamental Investor 🙂 ? yes. I read your ebook. very informative. I have downloaded few ebooks you have mentioned in your ebook. I am a fundamental investor. Manish ” The best policy” was Jeevan amrit wherein he was telling me to deposit 1.5 lakhs for the first year and then subsequently that premium will drop from 2nd year onwards. probably i have better plans to invest my hard earned money in a better way. Thanks a lot. Great .. you did right thing .. I am one of those silent readers of your blog 🙂 , wish you a happy new year . I have a query “why I need a PPF account ? when debt is risky in long term and ppf has a maturity period of 15 yrs”. And have sharp eyes 🙂 .. nice question .. So the thing is that when I say “debt is risky in long term” . i mean debt products like Endowment policies which have very low returns .. But PPF has good post tax returns and apart from that we will also be using it . Apart from that , we also have to do asset allocation every year or every 2 years .. Your are right, PPF is also debt product..Instead PPF , You should Invest Templetion Pension Fund..I do not have PPF A/c since 1997.. Since 1997, Every Year I have Invested Rs.70,000 in the Templtion Pension Fund ..it’s Hybrid Product ( 60 to 70 % Debt & Remaining Part Invested in Equity Product..Today my CAGR 13.98%. If you want any information about Templetion Pension Fund pl write ..
Best Wish for New Year. You are right, TIPP Return is Taxable But you can get Index Benefit..Pl note. I think PPF is saving Product…..TIPP is Investment Product….. As per my understanding Equity or Hybrid product always give you higher return in the long time Investment duration…. Hey Nikhil, check out the graph Manish prepared for the Debt oriented listing. The UTI plans returns outweigh the TIPP. Manish is right when he says these plans can be an alternative. It makes sense to split your debt allocation between PPF and debt oriented funds. Its a UTI Mahila Unit Scheme . Its a good fund and the returns beat TIPP . Wishing all of you a happy and prosperous new year..
happy and prosperous new year to you too ..
Here’s Wishing you, your loved ones, JagoInvestor Readers a Very Happy & Prosperous New Year. May JagoInvestor continue to prosper & floruish in the coming new year. Thanks for the wishes, I wish you and all the readers of this blog, a very happy and prosperous new year. I have to admit i have learnt a lot about financial planning after visiting your blog. And now i visit this blog almost everyday and find a new thing which helps me get more educated about financial planning. You are doing a great job, please keep it up. Manish..thanx for all your valuable advices and best wishes to u and all your blog readers for New Year. This time my insurance agent was shocked to see me taking my own financial decisions when i told him i want to go for term insurance and that i would like to check all my details in the form and then put up a query list for the policy he told me was “the best insurance policy ever made”. This blog of yours has immensely helped me to understand the basics of financial jungle. keep writing and educating all of us in this coming year. Thats what my vision is 🙂 . Everyone should be an independent Thinker 🙂 .. I am glad you are after reading my articles 🙂 . So what policy this agent was talking about ? Was it a ULIP or some Endowment crap .